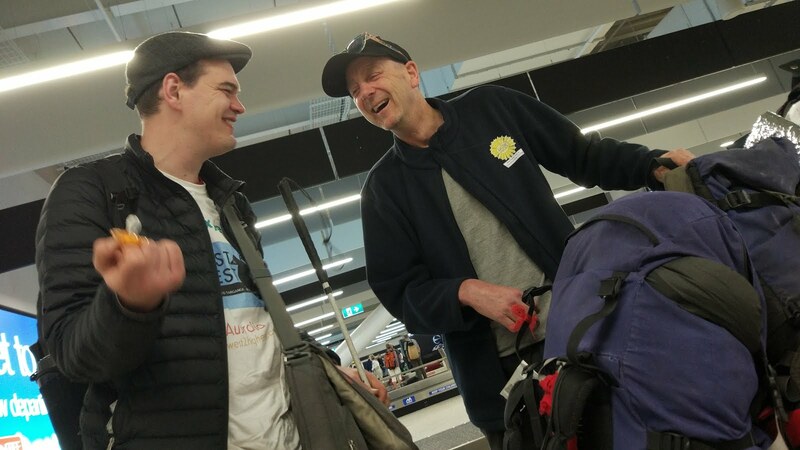 Yesterday Walter loaded up the rental car, one he procured from an agency to be relocated from Launceston to Melbourne, and got onto the famous Spirit of Tasmania for the overnight cruise from Tasmania to Melbourne. Today Paul and Duncan caught their flight from Hobart to Melbourne, and Dan and his girlfriend tackled the Hume Highway after leaving the Blue Mountains, home of the Three Sisters and Echo Valley (near Sydney) and Conrad roped his sister into driving him from Ballarat, Australia's gold mining capital famous for the Eureka Stockade, to Melbourne. Paul, Duncan, Conrad and Walter managed to find each other and settled into their first night together in the legendary yet modest Hotel Cavalier in Wantirna, famous for its Thursday night Wantirna Club Kareoke (where they incidentally enjoyed the dinner special over a celebratory drink). Dan is still driving the night away, but getting closer by the hour. Friday morning, a shirt sleep to go, we will all finally be together at the Greenspeed HQ, where the Greenspeed Trikes will be tuned to perfection and Ed from World Expeditions will come and collect us all for the long ride in a Troopy towards Lake Eyre.